For my reflections, I plan to discuss how I have accomplished my objectives, as well as, make one new objective for each of them. Reflection: I used the head-to-toe approach to gather information and present all of my patients. With each presentation of my patient, I felt more comfortable with the head-to-toe approach and knowing which information was relevant to point out to my preceptor. I need to work on better presenting the progress of my patient in the hospital. In my OEE, I was taught to summarize the progress in one line. While that may work for patients who are newly admitted, for patients who I am encountering part-way through their hospital stay, capturing their progress in one line is challenging. For future patient presentations, I will try to summarize their progress while going through their head-to-toe (e.g. any trends in labs, etc). – When presenting my patients, use the head-to-toe approach to summarize my patients’ progress, identify any new issues and highlight relevant trends. Do this for at least 5 more patients. Reflection: Initially, my interviews were disorganized as I would jump from one condition to the next. My preceptor taught and provided me with an interview form that allowed me to conduct a proper BPMH and patient interview in an organized manner. I was able to meet my stated objective and always prepared a list of questions prior to visiting my patients. I will definitely not forget the most important question to ask — which is what are my patient’s goals from this hospital admission and expectations of their health care team! – Delve further into patients’ responses (e.g. use questionnaires if a patient mentions they have a low mood) and tailor interviews toward my patients’ concerns and needs. Discuss with my preceptor and write at least 1 clinical pharmacy note. Observe how my preceptor writes his clinical pharmacy notes and collaborates with other health care professionals and implement them into my practice. Reflection: I was able to get more experience writing SOAP notes. My preceptor would help point out situations where pharmacists would document a clinical pharmacy note. My notes tend to be wordy and at times, I would repeat information multiple times in my notes. My preceptor helped coach me on how to write clear, concise and organized notes. Currently, I still feel more comfortable drafting my note and reviewing it with my preceptor before writing it in the chart. Some useful tips were to include information from patient interviews or gather information from the bed-side nurse for the subjective, make sure you are not repeating details, write A/P in point form and always include your monitoring plan! FYI — Pharmacists are able to order non-prescription meds, continue medications PTA after verifying with the patient and another resource (e.g. P’net), labs and referrals to clinics. – Independently assess the patients’ DRPs and clinical situation, and determine when writing a clinical pharmacy note would be appropriate (e.g. addressing a DTP and suggesting a care plan; discharge counselling; drug level monitoring). Draft up clear, organized and concise pharmacy notes and review with my preceptor prior to documenting it in the chart. Give 1 presentation. 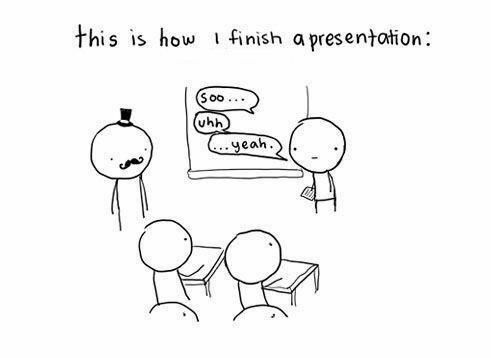 Practice my presentation at least 3 times while paying attention to my body language, tone and flow of presentation. Reflection: I facilitated a journal club for the first time, which was a great opportunity to brush up on my clinical appraisal skills and review non-inferiority trials. A more detailed reflection can be found in my procedure log. Reviewing it with my preceptor ahead of time helped better prepare me for my journal club and gave me a better idea of what to consider and research further on for future journal clubs. Reflection: I was able to do a discharge counselling for a patient who was leaving nicotine replacement patches and a few medication changes. Although I was not able to do much discharge planning as most of my patients were still in the hospital when my clinical orientation ended, my preceptor and I helped prepare patients for discharge in other ways (e.g. asking what patients’ goals upon discharge, writing referrals, contact community pharmacies, medication reconciliations). – Perform and document at least 5 discharge counselling during my general medicine rotation. Provide medication calendars and any useful counselling material. Challenging to obtain information from patient (e.g. wasn’t able to ask about side effects like sxs of ototoxicity). Patient is mostly in bed, but appears to be improving. s/0 77 yo male with MRSA septic arthritis L shoulder. Target vanco should be: 15-20mg/L. eGFR~ 89, stable for last few days. Pain was worse last night (pt crying), as per nurse. Settled with PRN hydromorphone dose. No complaints of pain today. Swelling same as yesterday, as per nurse. Septic arthritis appropriately treated with vancomycin for MRSA. Level is drawn appropriately at steady state and is within target. All doses charted as given. Awaiting ID consult to determine duration of tx. Monitor renal function 3 times a week. Monitor s/s of septic arthritis (pain, swelling, mobility), WBC, CRPH, vital signs. If clinically worsening, increase vanco monitoring and R/A. Continue vancomycin IV with no stop date. Awaiting ID consult RE: duration of treatment. My first journal club is on the following article: Liraglutide and CV outcomes in T2DM. I think having a good pace is something I still have to work on. When I know I have a lot of information to cover, I tend to go fast and trip on my words. I think slowing down and perhaps turning it to the group every once in a while will help keep the interest and discussion going. e.g. retinopathy normally takes 10-15 years to develop…for patients with diabetes for an average of ~12 years, is tx of 3 years enough to assess the efficacy in preventing retinopathy? Answering questions – I think I definitely struggled to answer some of the questions and didn’t answer a lot of them as comprehensively and clearly as I could. Need to become more familiar with critical appraisal, statistics, trial designs, etc. –> If patient’s HbA1c is 7.1%, will you consider liraglutide? What is pre-specified and not? When going through template, consider advantages and disadvantages of the trial design? Consider: How do the results seen compromise blinding? If known SE is weight loss, how will that affect the trial? For withdrawals (before randomization, during trials), know why they withdrew? Be able to answer: If your family member needed a ___ medication, what would you give? Does the trial change your decision? Be familiar with trials and outcomes of other medications. Think of where you can pose a question to the audience and guide discussion. Provide time for the audience to answer. Whenever a pharmacist asked me a question, it might be good to answer but also turn it back to the group at the end so that others have a chance to add in. With the help and guidance of my preceptor, I completed a medication reconciliation on admission. Generally, medication reconciliation is done in Emerg. However, this patient had a MVA and was transferred from another hospital directly to our ward with the goal of repatriation. I should have had a closer look at the Pharmanet to clarify any differences between P’net and what the patient was telling me. I noticed later on that timolol was written for both eyes QAM on the P’net and went back to re-clarify with the patient. There was some confusion but both daughter and him decided it was best to follow the P’net and patient seemed to think that he might have been using it for both eyes. The unit clerk and pharmacy staff probably didn’t appreciate the extra order I wrote only one hour later. My preceptor helped confirm the eye-drops with the patient in a very efficient way. He showed the eye drops to him as he asked how many drops and how many times he was taking it. He re-confirmed and summarized the regimens at the end. For my future medication reconciliations, I will read out the final list of medications at the end to the patient and confirm its accuracy. When asking for non-prescription medications, I forgot to list out non-prescription formulations – e.g. creams, ointments, etc. Some people may not consider topical medications a medication, so it would be good to list them out for the patient. I can’t believe that I will be starting my clinical orientation at Surrey Memorial Hospital this coming Monday! Although I am incredibly nervous, I am also excited to be moving from unconscious incompetence to conscious incompetence.